The correspondence between gauge and string theories offers an entirely new way to explore fundamental interactions of matter. The annual workshop will survey the most recent progress in this field. 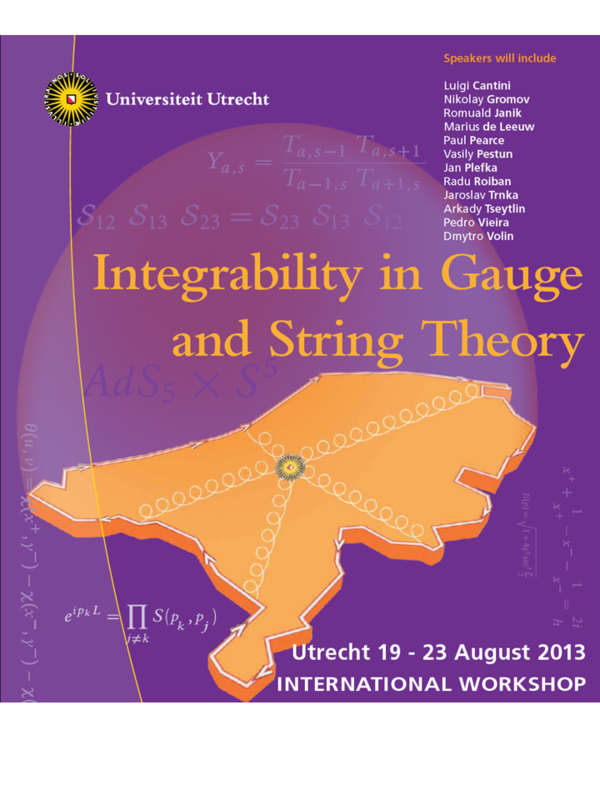 About 150 researcher will join the workshop at Universiteit Utrecht. 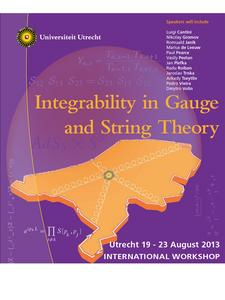 Speaker include Luigi Cantini, Nikolay Gromov, Romuald Janik, Marius de Leeuw, Paul Pearce, Vasily Pestun, Jan Plefka, Radu Roiban, Jaroslav Trnka, Arkady Tseytlin, Pedro Vieira and Dmytro Volin. Young researchers will present their work in the poster session. In recent years remarkable progress has been made towards a quantitative understanding of this correspondence based on ideas of exact integrability. Integrable models constitute a special class of dynamical systems with unusually many conservation laws, that in many cases hold the key to their exact solution. Exploration of various quantities emerging in the context of the gauge-string correspondence, like primary operators, Wilson loops, scattering amplitudes and correlation functions hints at the existence of a beautiful unifying integrable structure still waiting to be discovered.